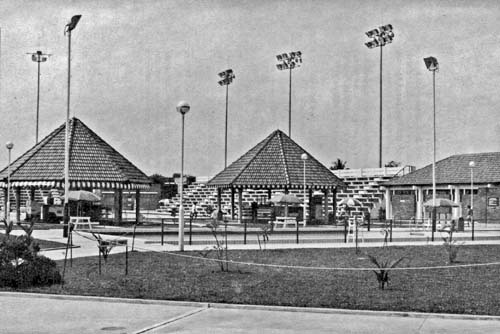 This is an 80s picture of the Majlis Perbandaran Ipoh (MBI) swimming pool. The pool is near the Perak Stadium; also part of the sports complex which has a velodrome, hockey stadium and an indoor stadium (Stadium Indera Mulia). The pool is opened to the general public, and it has also been a venue for various swimming competitions. There used to be a cozy pool-side restaurant too. Last I checked, the restaurant was still there – it becomes really crowded during Ramadan. The pool itself has been renovated time and again. I think the last major job was done before the SEA Games in 1998 (if I’m wrong, I stand corrected). Anyone know when the pool was built? Or perhaps there was something else in the area before the pool came about…..
For over 2 decades…ipoh’s main swimming pool…has been the MBI’s pool…. Ipoh is definately in need to a bigger / more public swimming pools. Anyone who has been MBI pool would know that it’s practically pack to the brim. Almost impossible to do a lap in the common 5 ft pool. Its more like an obstacle course / maze when swimming in the pool. Our city planner should consider building more public pools to encourage more healthy exercise for its citizens. Hi D-Tourist. Any idea when the pool was built? I have just contacted Mr. Cheong Ah Woh, an old ACS student who was the DBI pool superitendent. He confirmed that the pool was built in 1983 and Mr. Cheong was the person who commissioned the pool. 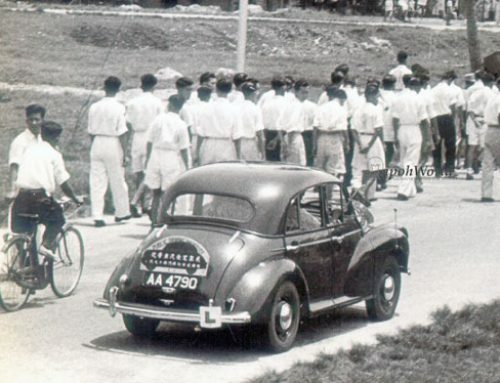 If I am not wrong, the sports complex was planned by the Town & Country Planning Department, Perak, because there were some discussions with a Town planning assistant who stayed at the YMCA hostel in Anderson Road at that time. Perhaps the construction was taken over by the DBI. (I stand corrected). Thanks LYK. Let us see if anyone will correct you, but I doubt that as you went to the horse’s mouth, so to speak.